2004/54, finished in Platinum silver with charcoal interior. 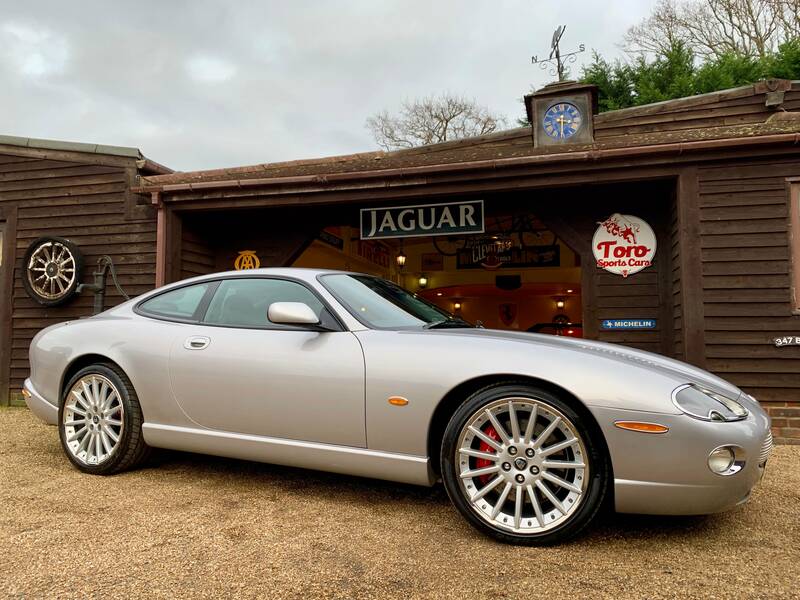 This iconic XKR has had three former keepers and has covered a respectable 61,000 miles from new detailed in a full service recorded in the car's history file. The history file also boasts a letter from Jaguar confirming it is a Carbon Edition, a heritage certificate and the car's original Carbon Edition sales brochure outlining Jaguar's one hundred reasons to buy one of these this mega spec cars of the era. I am sure anyone reading this advert will be aware that this limited edition is 1 of 100 R.H.D examples and just 1 of 50 coupés produced. The specification was the main selling point of these stunning XKRs that came with all extras as standard, such as: carbon styling, 20'' split rim alloys (Sepang fitted), performance Brembo callipers, satellite navigation, Recaro seats to name a few. This really is a superb example of a great to use and promising asset.